There are a few people in my life whose path I’ve crossed for forty-some years. 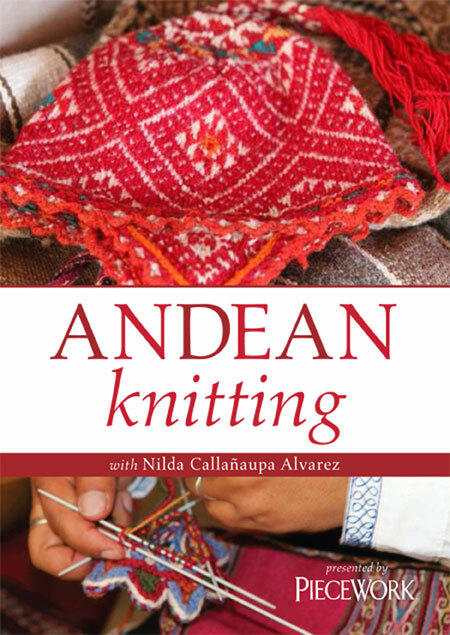 This is a good thing–especially when one of them is the remarkable Deborah Chandler, weaver and co-author of Traditional Weavers of Guatemala, Their Stories, Their Lives. 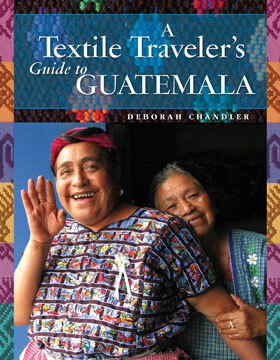 Little did I know that when ClothRoads went traveling in Guatemala with Deb and Teresa Cordón, the co-author of above said book, that we were treading in footsteps of what would become fodder for her new book, A Textile Traveler’s Guide to Guatemala. More on that later. Deborah Chandler. Photo by Joe Coca. 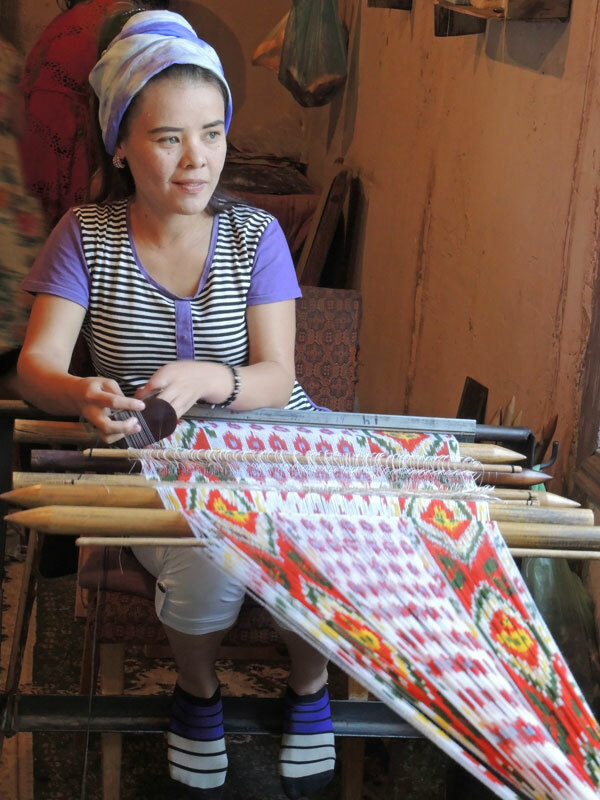 Deborah Chandler showing an intricate huipil both woven and embroidered. Embroidered flowers augment the surface of the rich jaspe huipil. When last in Guatemala, with Deb as our guide, we visited the Mayan Hands field office in Panajachel. We lucked out as there was a basket-design contest underway, an effort to expand a very successful line of pine-needle baskets. We met Josefina and Maria, members of the El Trifuno cooperative, who were making baskets in the courtyard and showed us their technique. Most of the baskets are formed by a coiling technique, in which a continuous round length of material is wound around or on top of itself in an expanding spiral. The wild grass and pine needles are the foundation. The third element, the raffia, is the stitching or wrapping fiber which surrounds the core and binds one row to the next. Josefina (forefront) works on base of a new basket using a coiling technique. Basket making materials include wild grass (left) and pine needles, as well as raffia for stitching. 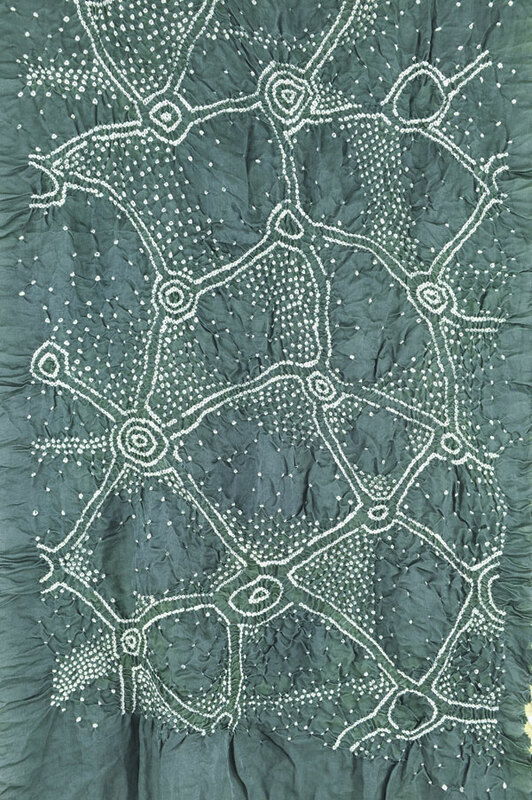 Wild grass is coiled and stitched with raffia. These baskets have become so successful since their launch in 2014, that the El Trifuno coop has quadrupled in size. One more success story with weaving leading the life of so many Guatemalan women. Not everyone is able to travel to Guatemala nor have the privilege of having Deborah Chandler as a guide. Some lucky folks are in Guatemala right now on the Mayan Hands tour with Deb as their guide. But we can armchair travel and/or plan a future trip to this colorful and vibrant country with her soon-to-be-released book, A Textile Traveler’s Guide to Guatemala. 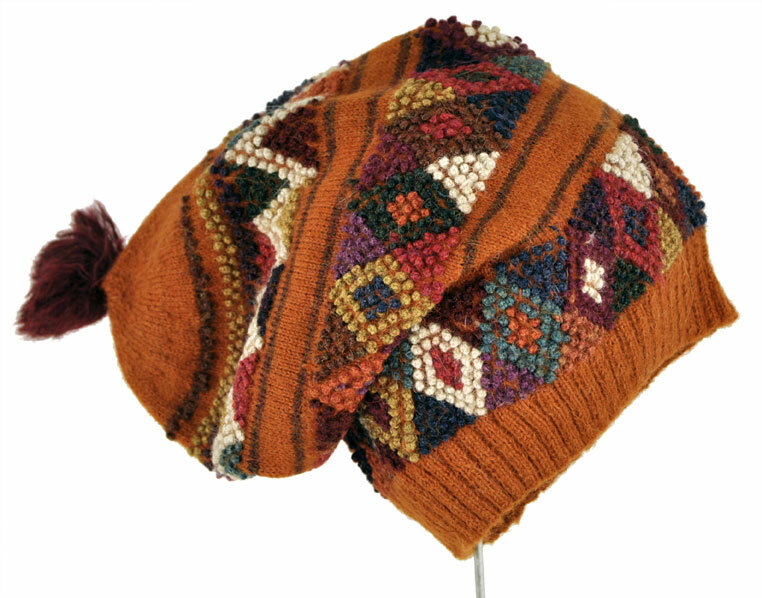 Huipil and head wrap from Aguacatan, Huehuetenango. Photo by Joe Coca. 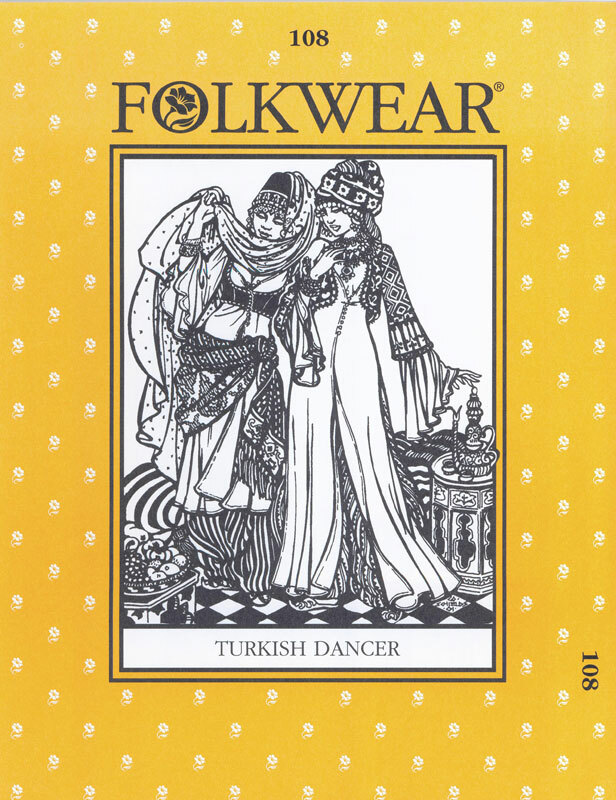 This new book, published by Thrums Books, is an excellent resource for discovering artisans, markets, shops, and those storied regional textile traditions. Geared to independent-minded travelers, this guide presents the safest and most accessible methods of travel, where and when to go, where to stay, and what to eat. Expert advice from Deb helps the traveler know what to look for, how to distinguish high-quality work, and how to bargain intelligently and ethically. With abundant photographs, this guide celebrates the color, joy, and energy of folklife in Guatemala. Order now from Thrums Books. 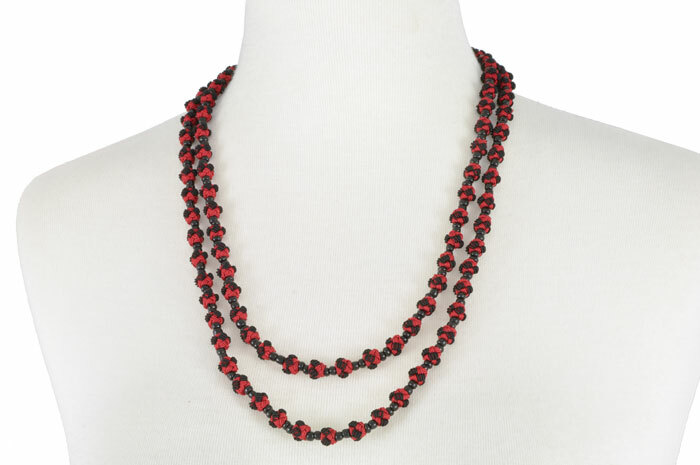 A special thanks goes to Mayan Hands for the outstanding support given to the Guatemalan women. Founded in 1989, it has assisted many impoverished Guatemalan women in making better lives for themselves and their families. 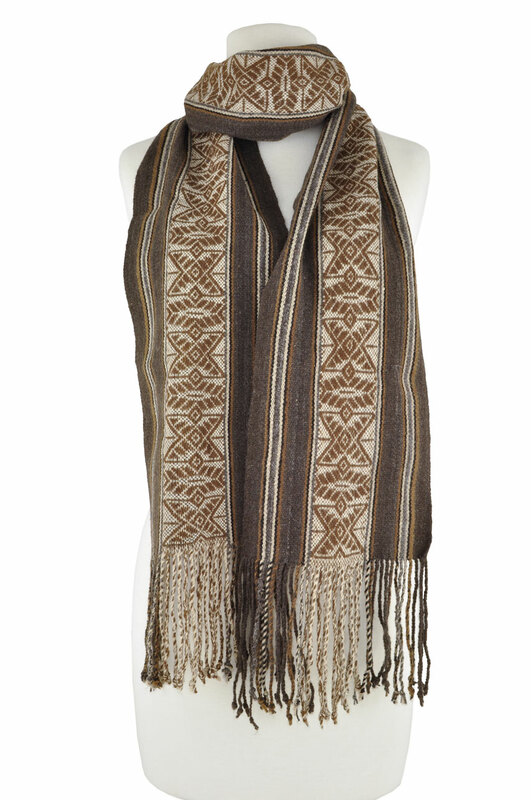 They partner with approximately 200 weavers, organized in groups of 10 to 30 women, living in different communities around the western and northern highlands of Guatemala.